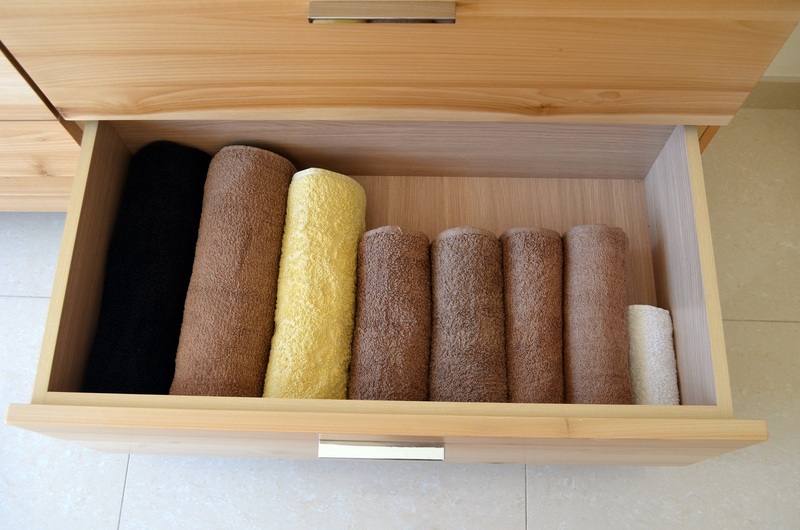 Here is a simple step by step tutorial showing you how to store towels in a drawer. I used to just fold them and stack them on top of each other but that way I couldn’t get a good overview of what towels I have in the drawer. Since I had no good system in place, even if I somehow managed to fold them, I’d still toss them somewhere in the drawer and sooner or later it would all be a big mess. Rolling them up solved the issue, easy to store, easy to take and a great overview. Step 1 – Find a flat surface (e.g a table or a bed) and lay the towel flat. 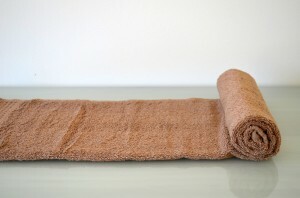 Step 2 – Fold the towel in half. If the width of the folded towel is longer than the width of your drawer, you could fold it once more. 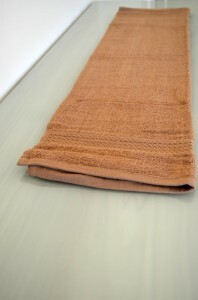 Step 3 – Start rolling the towel from the end. Try to roll it as tightly as possible, the finished towel will look much neater and you’ll fit more of them in the drawer. Voila! 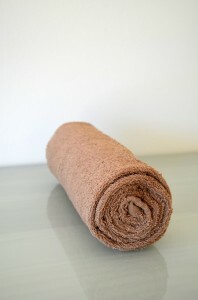 A rolled up towel. Repeat steps 1 to 3 for all the towels you wish to store away (or as many as you can fit in your drawer). 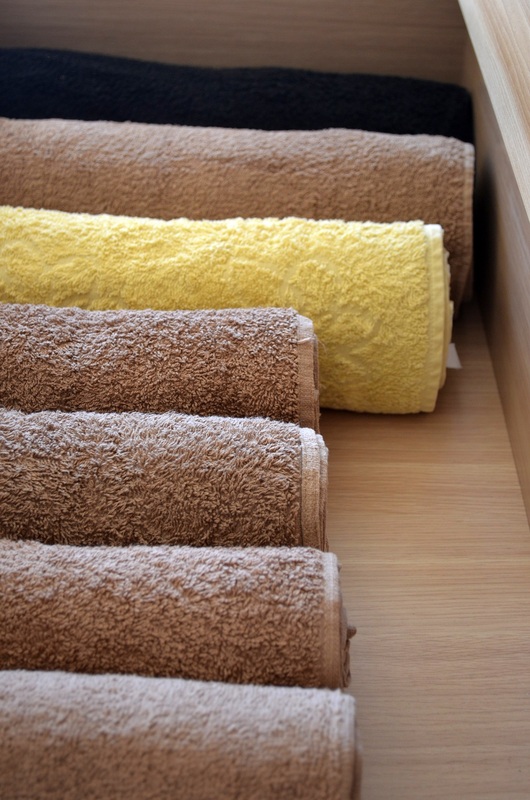 If you have more towels than you can fit in the drawer, you can also stack them neatly on top of each other like a pyramid and store them in the bathroom. 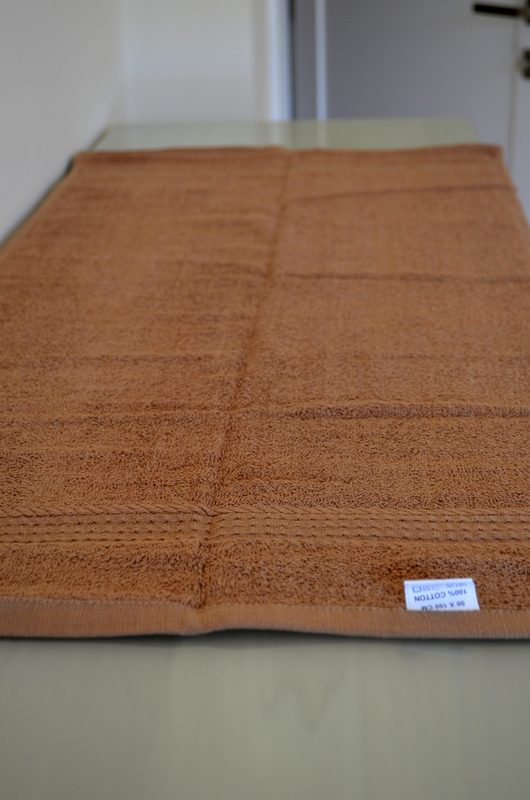 The same system you can use for storing kitchen towels near the sink or whatever place you might find handy for storing them. 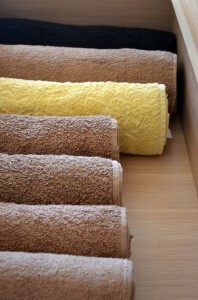 Step 4 – Stack the rolled up towels side by side in a drawer. If you have a deep drawer, you can also stack them on top of each other. 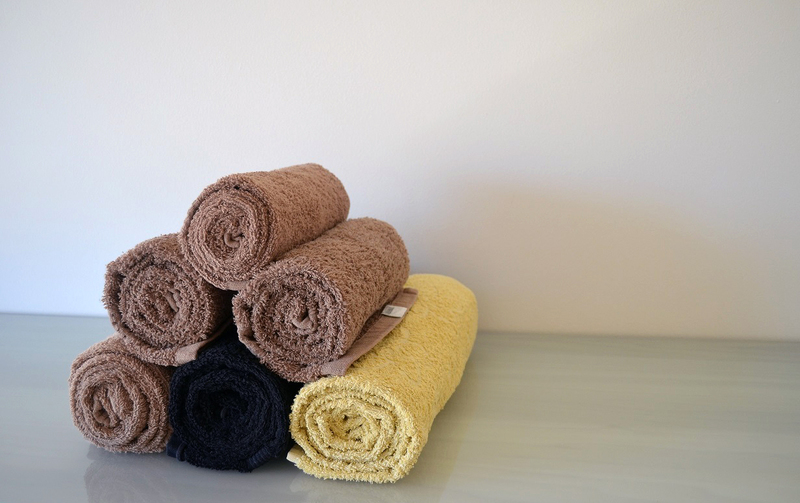 Color wise – I like to go from light to dark, but if you have 2 different colored towels then a cool pattern might be even better! 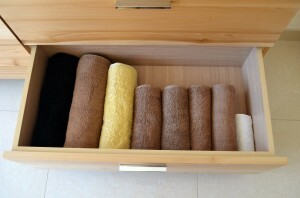 A lovely organised drawer full of towels ready to be used. Hopefully mine will stay like this forever :-).